Vice Mayor Roxanne Qualls will host a press conference today at 11am in Walnut Hills to discuss the conversion of McMillan Street and William Howard Taft Road from one-way to two-way streets. Qualls reportedly will be joined by various Walnut Hills community leaders who have long supported the idea of converting the two heavily traveled east/west streets back to two-way traffic. Residents and business owners in the area feel that such a conversion will help to further revitalize their neighborhoods, and return vitality to the business district. Converting one-way streets into two-way streets has become an increasingly popular urban design tool over recent years by cities looking to slow down traffic, increase access and thus improve safety for pedestrians and bicyclists. 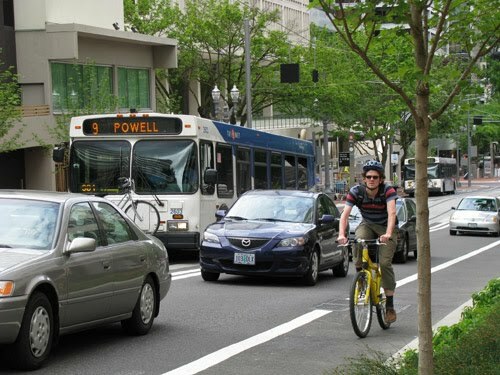 Qualls has been a leading advocate for the implementation of a ‘Complete Streets’ policy that would also embody many of these things by ensuring that all modes of transportation are accounted for in the design of streets and the public right-of-way. The press conference will be held at Kurelis Interiors on E. McMillan Street (map) in Walnut Hills at 11am. Also on hand will be Greg Loomis from Campus Management and Jeff Raser who is part of the Walnut Hills Working Group and has been lending professional assistance in the development of form-based codes around Cincinnati. UPDATE: Following the press conference Qualls’ office released a motion that is co-sponsored by Jeff Berding, Chris Bortz, Laure Quinlivan and Cecil Thomas. The motion calls for city administration to develop an implementation plan for the two-way conversion of McMillan Street and William Howard Taft Road east of I-71 before City Council takes its summer recess. The motion also calls for city administration to deliver a report on the feasibility of converting McMillan and Taft west of I-71 to Clifton Avenue by September 2010. Another critical part of the motion calls for the incorporation of several traffic calming measures that will make the streets safer for pedestrians, bicyclists and transit riders. Those improvements could potentially include landscaped medians, crosswalks, dedicated bicycle lanes, improved on-street parking design, wider sidewalks, bus pullouts, reduced traffic speeds and even the incorporation of roundabouts. Photo taken by Laura Sandt.